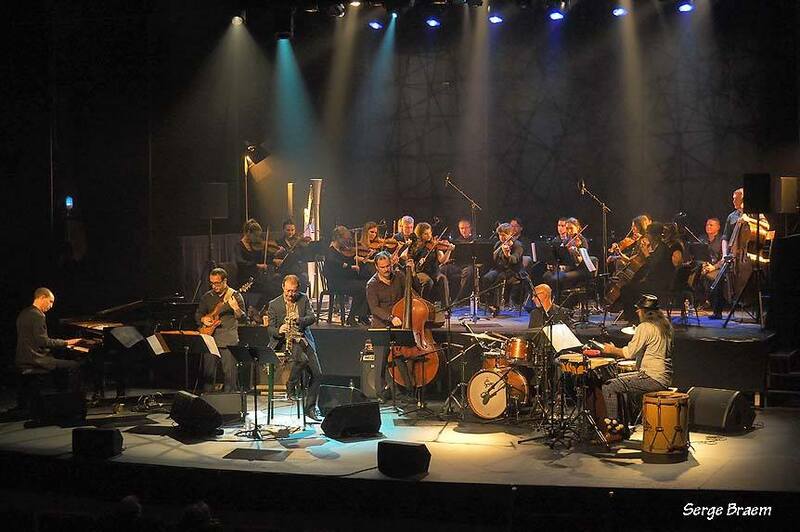 Another picture from the first tour of "UDiverse", the project of saxophonist Fabrice Alleman (B) with chamber orchestra. Michel Herr wrote 8 arrangements and a few compositions. 25 musicians played the music from the album Universe (Cyprès Records). the Orchestre de Chambre de Liège (strings), the wind ensemble Quartz. Cultural Center of Mouscron (B), October 26, 2017. Photo : Serge Braem.